Get A Fast Approval On A Fidelity / Employee Dishonesty Bond Today! 100% secure online Fidelity / Employee Dishonesty application. Skilled professionals in bonding Fidelity/Employee Dishonesty. Low cost Fidelity / Employee Dishonesty Bonds. Click here to apply for a Fidelity / Employee Dishonesty Bond application. Click here when your application is completed to email it to clientservices@notarybonding.com. No class rate modifications or location charges apply when figuring the rate for these specialty products. For example, a principal with 10 employee’s purchasing a $10,000 dishonesty bond would be charged $160.00; another principal with 6 employees purchasing a $25,000 dishonesty bond will be charged $179.00. Three year prepaid premium discount is 2.85 times the annual premium. *The State of New Jersey has a different rate schedule than listed above. Any questions please call 1-800-395-2242 and ask for miscellaneous surety department. 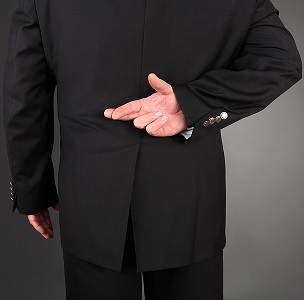 What is a Fidelity / Employee Dishonesty bond? It's a form of insurance protection that covers policyholders for losses that they incur as a result of fraudulent acts by specified individuals. It usually insures a business for losses caused by the dishonest acts of its employees. While called bonds, these obligations to protect an employer from employee-dishonesty losses are really insurance policies. What does a Fidelity / Employee Dishonesty bond cover? These insurance policies protect from losses of company monies, securities, and other property from employees who have a manifest intent to cause the company loss. Does a Fidelity / Employee Dishonesty bond come in different types? Yes. A Fidelity / Employee Dishonesty bonds come in two types: First-party and Third-party. First-party fidelity bonds protect businesses against intentionally wrongful acts (fraud, theft, forgery, etc.) committed by employees of that business. Third-party fidelity bonds protect businesses against intentionally wrongful acts committed by people working for them on a contract basis (e.g., consultants or independent contractors). In business partnerships, it is the responsibility of the business working as a contractor or subcontractor to carry third-party fidelity bond coverage, though it is typically the other party who requests or requires such coverage.